Pre Nokia World 2011 Party and Nokia Maps night tonight! (We’re going :D) – Requests on what to cover? Hello all! How is everyone doing? Nokia World 2011 is TOMORROW! Yay! I was agonising whether I would be able to go given that the time table is pretty strict this year, and all day hospital placements being peppered around the place. I was sad that it didn’t happen early September like last year, before Uni began. Oddly though, during the week of Nokia World (24, 25, 26, 27, 28th – give a day or so to do stuff in London), someone at my University (obviously a Nokia fan) has made Tuesday to next Monday BLANK. Now it wasn’t uncommon for the university to add lectures/pracs/placements at a later date so I wasn’t really sure I could commit to going. Iain Wallace thankfully said he would cover it for us in case we couldn’t make it. It’s Tuesday and my time table is still empty. We are heading down to London as soon as I finish my morning Early Experience placement at the GP. Hopefully getting the 2PM train. Gadgets charged (charging, but by the time this publishes it should be). This afternoon after my GP placement, I’m going to be making my way down to London to meet the Nokia World attendees, in a little pre-Nokia World party and Nokia Maps night. I’m going to be tweeting from @jaymontano if you want to follow me along. Keep me company on the train ride and the ridiculously early morning I might wake up due to over excitement. I’m not sure there’ll be any point this time to tweet the keynote as it happens (I got blocked from twitter last time as I was basically subtitling with what twitter deemed as excessive tweets). Hopefully MNB server can make it. I’ve maxed out resources but it’s still going down. I’m hoping it’s because everyone is linking to us for that N800 teaser video (which is at 200,000 views in 48h). So this was happening with a few places, much more than usual as we uploaded the one video that everyone is linking to. 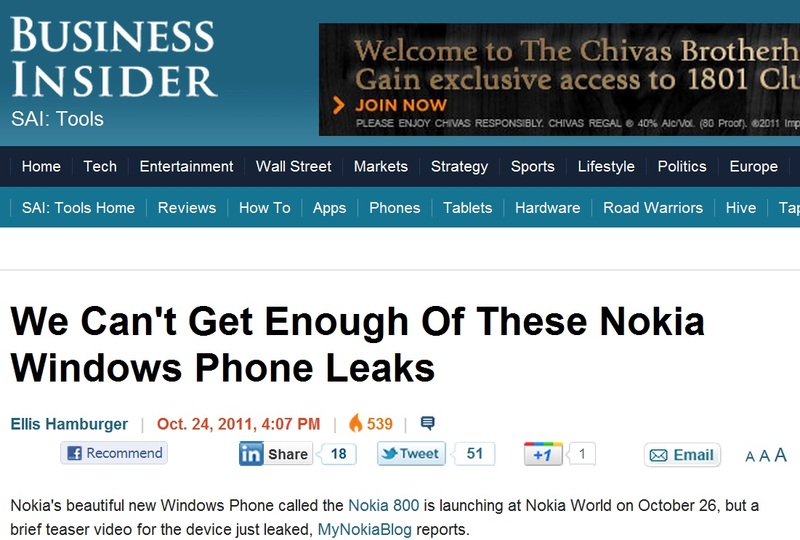 When Nokia World arrives, every news site and blog will be reporting their own Nokia stories, so we shouldn’t have this random influx of traffic from several fronts that’s causing severe slow downs – just our own readers. This week is gonna be very busy, with absolutely no sleep. I have 3 nights out afterwards too when I come back (halloween parties and I think a cinema night). It’s supposed to be reading week, when we try and catchup with work. I’m so, so glad I geeked up at the start of this semester, trying to be ahead of my workload a little to produce a little ‘buffer’ for such things like this. Now – do you have any requests on what we should cover in particular? It might help to know what exactly gets announced so you can then base requests around that. If you have anything in particular that you want to see (maybe an overview of the whole convention, the product managers, food bar, the Nokia World Party, etc) we’ll do that. I’ll check up this thread tonight again to see what’s been put here. I’ll ask for requests again before Day 2 begins just in case there’s anything we’ve missed. I’ll try to get as much as I can, though as I’ve learned from the past, it’s nigh on impossible to get everything. Photos wise, to get them to you quickly, they’ll be compressed at first. No one really needs 18MP photos right? We’ll put them somewhere at a later date. Videos, I want to get as high quality videos as possible so will be shooting in 1080p with my 60D (and the file sizes are ridiculous). Hmm…not sure how to go about this. I wish I had more hands so I could film with N8 in lower quality (VGA) for direct quick upload. The only thing limiting us then would be the internet at the venues. « Nokia N9 successor on roadmap?